YouTube gaming is used by many gamers across the world to stream their live games. Thousands of users watch these live streams. YouTube gaming is similar to Twitch which is also a game streaming service that is very popular. To start live streaming the games on YouTube Gaming first enable live stream on this video sharing platform. Get the YouTube account verified before this. After enabling the live streaming, the user will get the message that live streaming is enabled. To stream the game on YouTube, an encoding software is needed. This software allows recording content from camera or desktop and live stream it on YouTube. XSplit is a live streaming and recording software and is best suited for recording video games content. The free version of XSplit Broadcaster is also available. Go to the official site and download it. install it on your computer and register XSplit Broadcaster account. A confirmation email is sent to the registered email. Click on the link and continue to use the software. In the XSplit Broadcaster, window adds the sources. For example, the webcam can be a source for recording. Also, set the desktop area that you want to stream. Click add source, select screen capture area and then now choose the Broadcast option. Select the channel as YouTube Live. To begin broadcasting, click the start broadcast button. The button which was showing the status as offline now turns to starting and then to live. The game is now streaming via YouTube. If you want to stop the live streaming, uncheck YouTube live streaming option in encoding software. The YouTube gaming live streaming can be saved in the account for future viewing. The user can choose to make it public or private. These streams can be monetized also. YouTube Gaming was launched in 2015 by Google to compete with Twitch. The service is continuously upgraded and updated. YouTube Gaming is a user-friendly and clean interface. There is little crashing as it does not depend on Abode Flash. An interesting feature of YouTube Gaming is the DVR mode that allows just joined viewers to catch up on what they missed. Third party tools are available to make the gaming live streaming more engaging. Some of the third party tools are chat/moderation bots, gamin-optimised encoders, sponsorship tools etc. XSplit broadcaster is an east software for live streaming games. A big portion of the broadcaster is automated and thus people with less technical skills can also use this software easily. XSplit broadcaster helps to connect with the remote servers of YouTube Gaming. Multiple scenes can be set up during the broadcast. It is easy to switch between input devices and you just will need a click of the mouse. XSplit Broadcaster offers many tools and features. It allows adding graphics and texts to the game. The pros of XSplit Broadcaster are it is easy to use and mostly automated. It is possible to integrate third-party app through URLs and files. Many advanced options are available for fine-tuning. This software is also affordable. Once the user created an XSplit account, it can be used for both Broadcaster and Gamecaster. Payment needs to be done only once. The personal license is free to use. In spite of the amazing features, XSplit Broadcaster needs updating in some areas. The official page of XSplit helps in getting the latest version of XSplit Broadcaster. 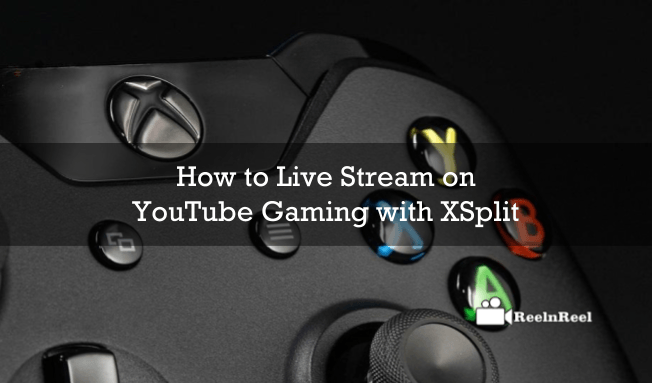 XSplit supports streaming sites such as YouTube Gaming, Twitch, UStream and so on. The social media sites supported by XSplit are YouTube, Facebook, Twitter, and Google+.